Please join us in sharing the joy of music with like-minded people and connect with yourself at a deeper level. 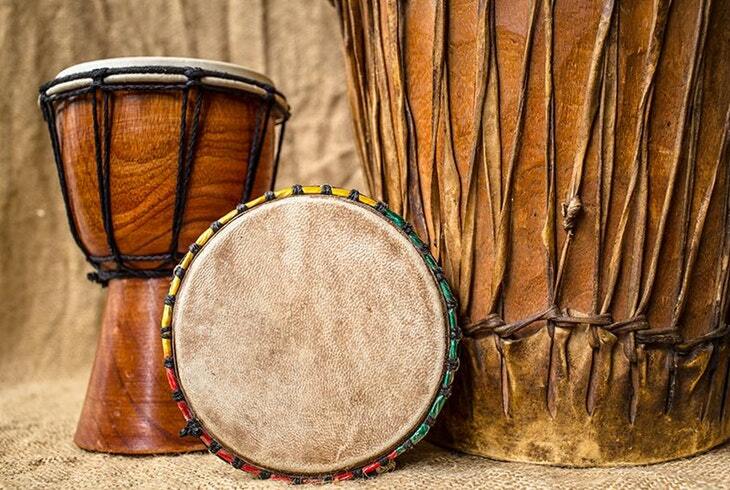 HealthRHYTHMS drum empowerment group presents drumming and percussion as a medium to help you express and process difficult emotions in a fun and sympathetic environment. HealthRHYTHMS is an evidence-based approach that has been shown to be helpful for a variety of physical and emotional challenges, such as cancer, chronic pain, to help strengthen the immune system, and to decrease stress, depression, and anxiety. This group empowers you to move beyond your perceived boundaries. Participants will incorporate physical exercise, communication, mindfulness, guided imagery, creativity, self-expression, and spirituality in a relaxing and enjoyable environment. No prior musical experience is needed to join this group. Drums will be provided, but you may bring your own drum and percussion instrument if you like. Ava Shokoufi, AMFT is an associate marriage and family therapist who works with individuals, couples, women in transitions, creative-minded and highly sensitive people in private practice settings in Thousand Oaks and Tarzana. She offers expressive art therapy groups, workshops, and support groups while using mindfulness and meditation in combination of evidenced based practices with a holistic approach. Drum therapy is an ancient approach that uses natural power of rhythm and sound to promote healing and self-expression. Drumming has been used for thousands of years in different cultures in healing rituals, ceremonies, celebration, community building, and cultural events. Drum Therapy is a holistic healing approach that promotes unity and cooperation, freedom of expression, non-verbal communication, and breaks down social barriers. It awakens hidden emotions and unexplainable feelings of excitement, peace, and enjoyment. HealthRHYTHMS® was innovated by neurologist, Barry Bittman, MD and it is an evidence-based holistic approach designed for achieving greater wellness, enhanced immune response, reduced stress, and social/emotional improvements. If you feel one of our programs would be beneficial for you, your family, or someone you know, or would like to receive these services at the comfort of your home, please explore our website to learn more, or contact Ava Shokoufi at 818 – 667- 4334.